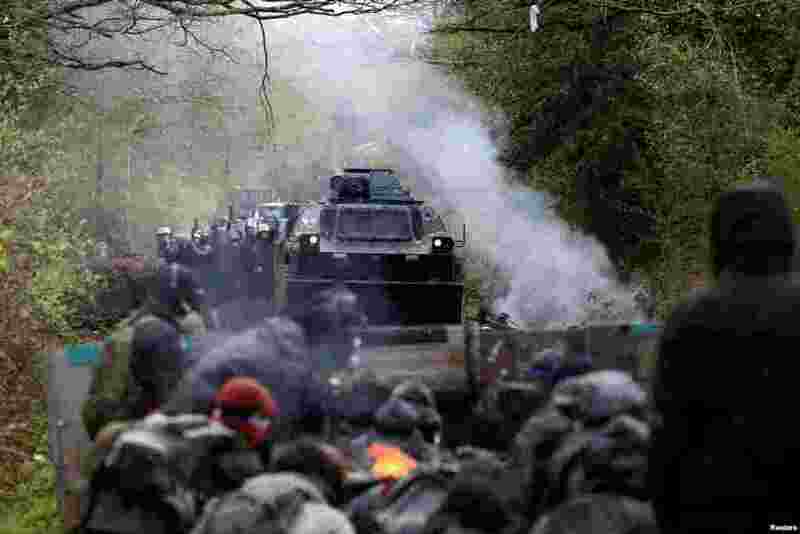 5 Protesters gather on a road as French gendarmes advance with an armored vehicle during clashes during an evacuation operation in the zoned ZAD (Deferred Development Zone) in Notre-Dame-des-Landes, near Nantes, France. 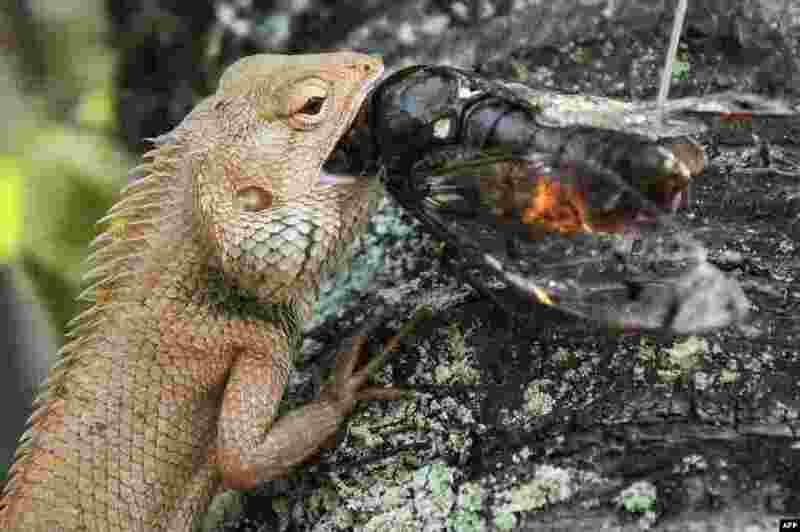 6 A lizard (L) eats a bug in Putrajaya, outside Kuala Lumpur, Malaysia. 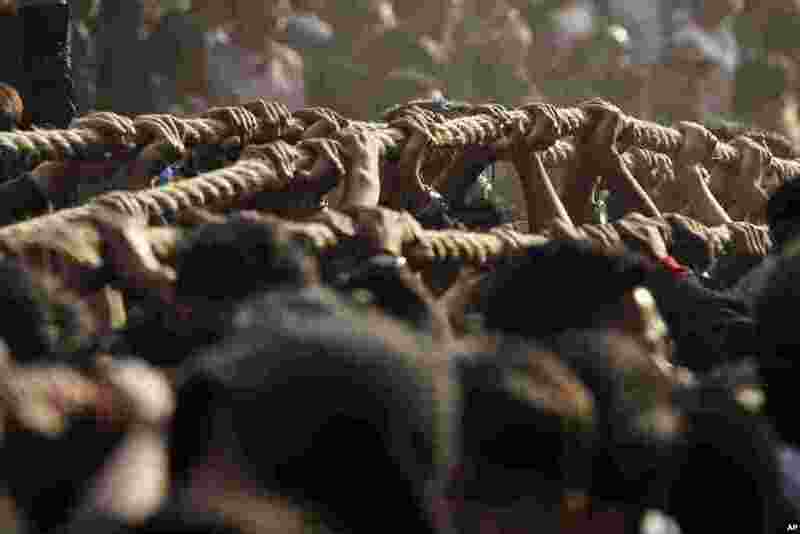 7 Nepalese devotees pull ropes tied to the chariot of Hindu god Bhairava during Biska Jatra Festival in Bhaktapur. 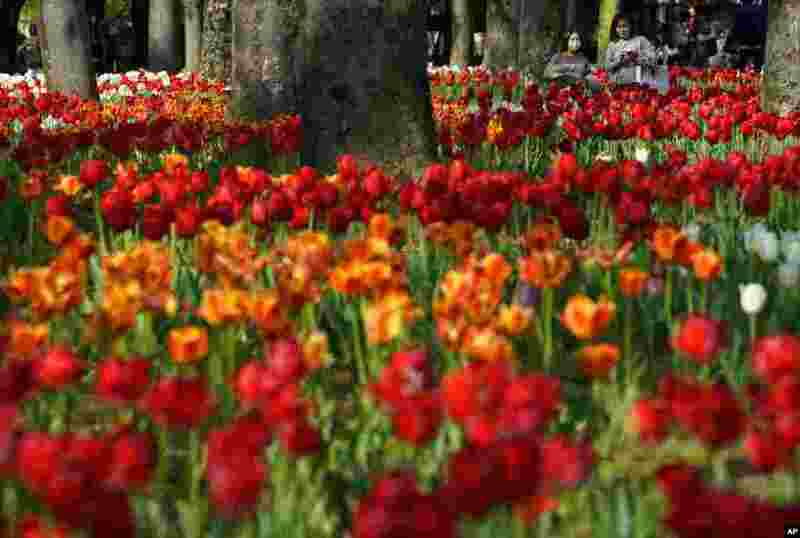 8 Visitors enjoy the blooming tulips at Hibiya park in Tokyo, Japan.